Home creative process risk in creativity tips for writers Are You Right Brain or Left Brain Dominant? Creativity is a subtle dance between the rational and the intuitive, between the left and right parts of the brains. In terms of writing, we would say that technique comes from the left side of the brain and imagination from the right side. Both are needed. People, by nature, are usually right brain or left dominant. Some are more in balance than others, and no matter which you are, you can learn how to build muscle into whichever side you are weaker. 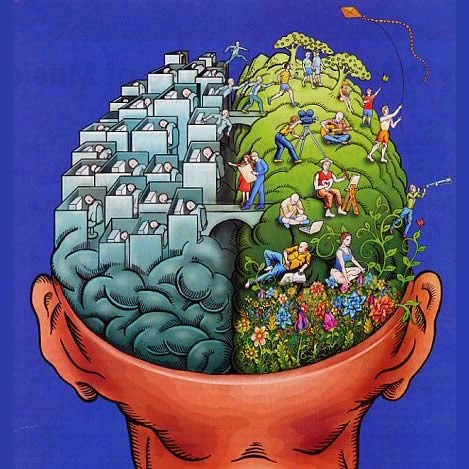 Here is a look at some of the ways that the many people with whom I have worked over the past 30 years relate to their right and left brain tendencies. This is by no means a complete view of the spectrum but I believe it is fairly typical of fiction writers. Right brain dominant people who actively express their creativity. Right brain dominant people who are not expressing their creativity. Left brain dominant people who yearn to express their creativity. Right brain dominant people who are comfortable expressing creativity know that creativity is born in the chaos of the unconscious, where nothing is predetermined and everything is possible. They allow themselves to swim in chaos without fearing they will drown. The early stages of any creative endeavor are confusing and challenging. Oftentimes as writers we want to throw up our hands in despair, but those who trust the creative process knows that if we hang in and keeping on doing our job, which is write without needing to control what happens, characters and plot will take form - usually forms which we could not have foreseen! Right brain dominant people who are not comfortable expressing creativity trust neither the right nor the left side of the brain. They swim aimlessly in the chaos and often give up and feel unsuccessful, unworthy and even stupid because nothing they do gets finished. They are likely to believe the stories that have pigeon-holed them as ditzy, disorganized and sometimes useless. These people have had little support for their right brain strengths, and even when their creativity is praised, the praise falls on deaf ears. They have lost belief in themselves and their self worth. This is a tragic situation for the person who is born right brain dominant. Becoming a warrior for your creativity is a big part of the answer. Finding someone who can help you challenge your inner critic is another. What is the left brain dominant person to do then? Ah, there are many ways to skin that cat, but a great metaphor is that of falling down the rabbit hole. Both right and left brain dominant people need help falling down the rabbit hole. It's a scary place....until you've found a home there. Need help in finding your Wonderland. Call Emily at 914.962.4432 and see if her coaching can take you there!